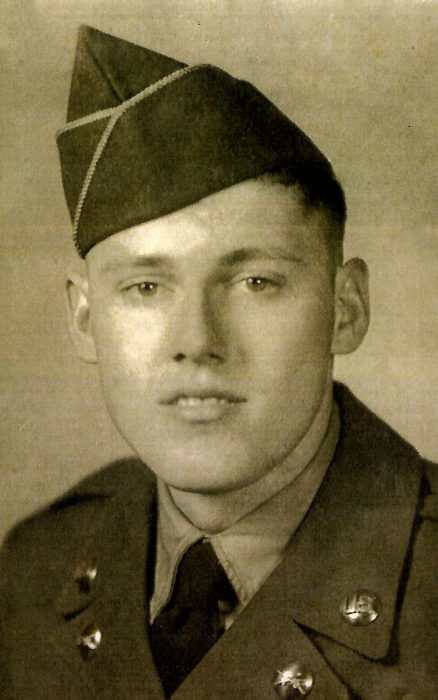 Arthur O. Voyles, 91, of Bluford, Illinois passed away at 9:13 A.M. April 2, 2019 at his residence. He was born January 20, 1928 in Belle Rive, Illinois to the late Henry and Mamie Voyles. Arthur is survived by his special friend and caregiver, Curtiss Bean of Bluford; son, Clark Richard Voyles of Mount Vernon; daughter, Robin Morgan and husband, Mark of McLeansboro; two grandchildren, Justin and Mary Morgan; and several great-grandchildren, nieces, and nephews. In addition to his parents, Mr. Voyles was preceded in death by one son, John Voyles; two sisters, Opal Mitchell and Cora Sutton; and five brothers, Alfred, Halick, Louie, George, and Noah Woodrow Voyles. Arthur proudly served his country in the United States Army from 1950-1952 in the Korean Conflict as a Medic, returning home as a Corporal. He was a member of the Mount Vernon American Legion Post #141 for several years. He worked as a crop and dairy farmer until failing health forced him to retire. A Graveside Service will be held at 1:00 P.M. Saturday, April 6, 2019 at Oakdale Cemetery in Bluford, Illinois with Chaplain Ernie Collins officiating. Interment will follow and members of the Mount Vernon American Legion Post #141 will conduct Full Military Honors. Memorials, in Arthur’s loving memory, may be made to the Residential Hospice.